Waterfalls in Phuket are not impressive, especially during high season when the lack of rain reduces the stream to a trickle. But even small, like anywhere in the world, they never fail to attract kids, teens and families during the weekend. 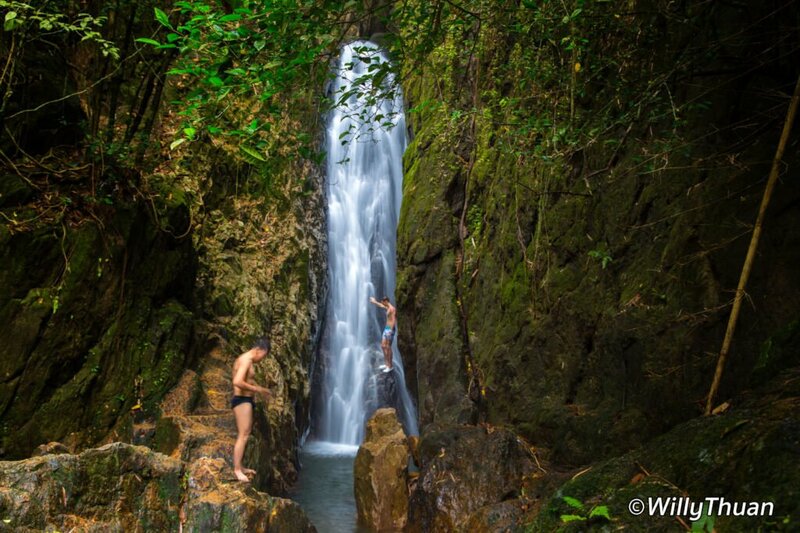 There are only three significant waterfalls on the island. The two largest ones are inside national parks and charge an entry fee of 200 baht per person, but a car fee. Not everyone is happy about this but that the rule and some considered rather high. 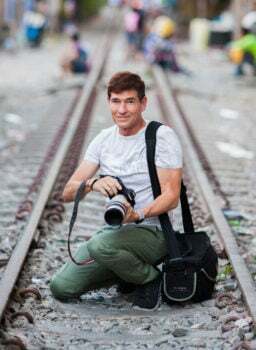 Those are Bang Pae on the eastern part of Phuket and Ton Sai Waterfall located further north, not far from Thalang Town on the way to Phuket airport. Kathu Waterfall is the best advertised but is quite small. At least you don’t have to pay anything to get there. If you go during the raining season and you find the path to the upper levels, it can be quite charming. 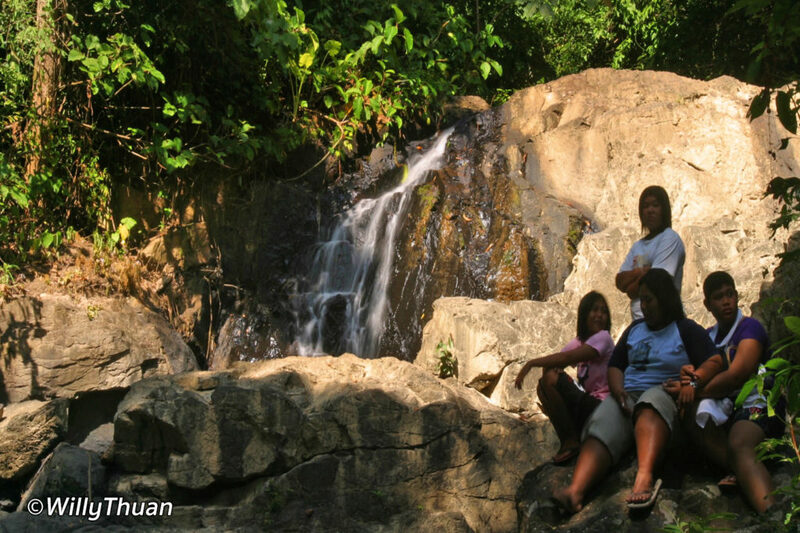 A very small and not well-known cascade can be reached just past Panwa beach, but it’s not worth going. 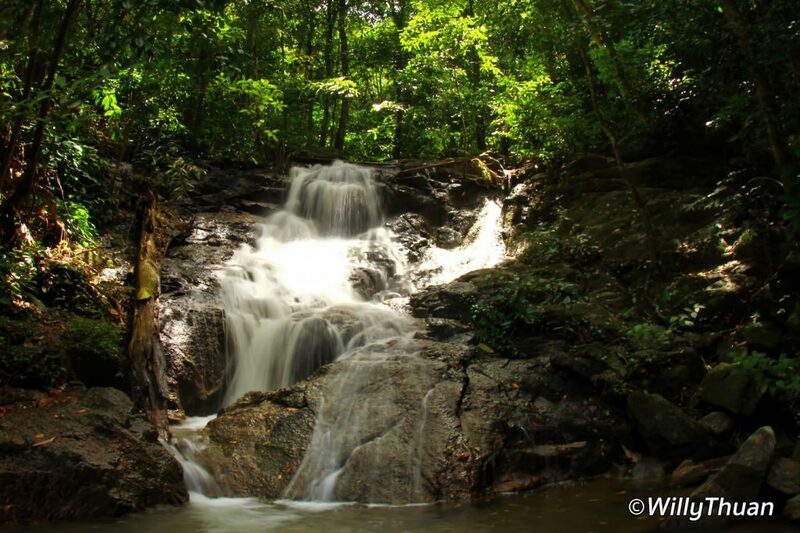 Outside Phuket, things get a lot nicer, and we’ll add more waterfalls as we discover them. 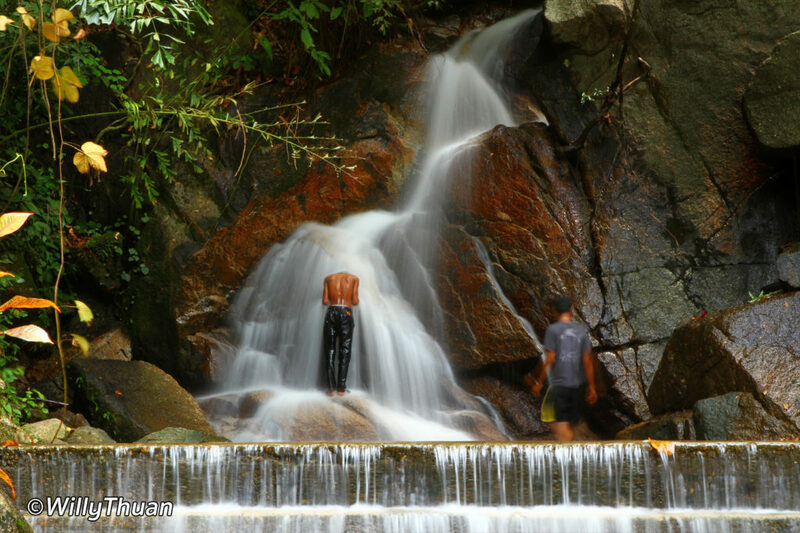 Bang Pae waterfall, the largest and most popular in Phuket, is 18 meters high. Lots of Thai people come on weekends with their kids to cool down in the stream. Teenagers come for a romantic escape and to jump from the rocks above into the water — something to try with care as accidents are not uncommon. You’ll find shops selling snack and soft drinks past the entrance of the park. Just remember that alcohol is not allowed inside the park. Don’t miss Piang Prai, an excellent local restaurant in front of the park! 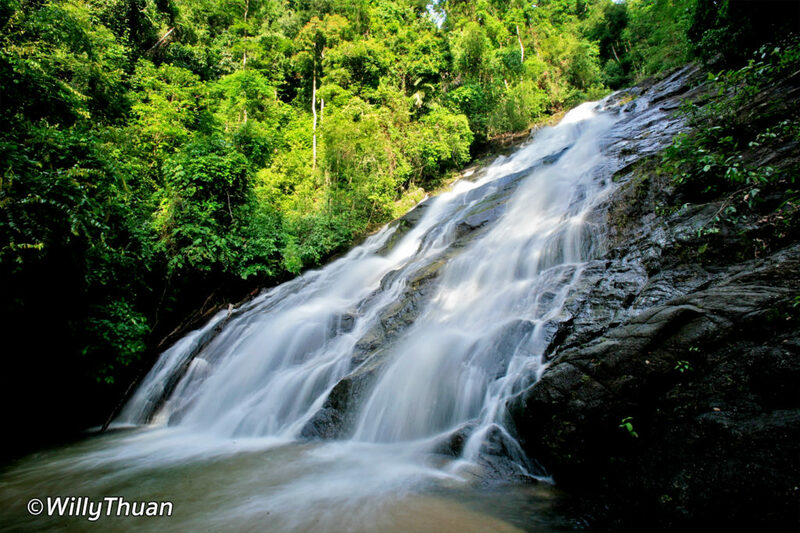 Ton Phrai waterfall is one of the nicest cascades outside Phuket island. It’s not really far if you have a car to drive around there. Alternatively, some Eco-tours and bike tours include it in their itinerary. Once going out of Phuket take direction Muang Thai and follow Highway #4 for about 27 or 28 km. Follow a small road on the right until the Khao Lampee Thai Muang National Park. 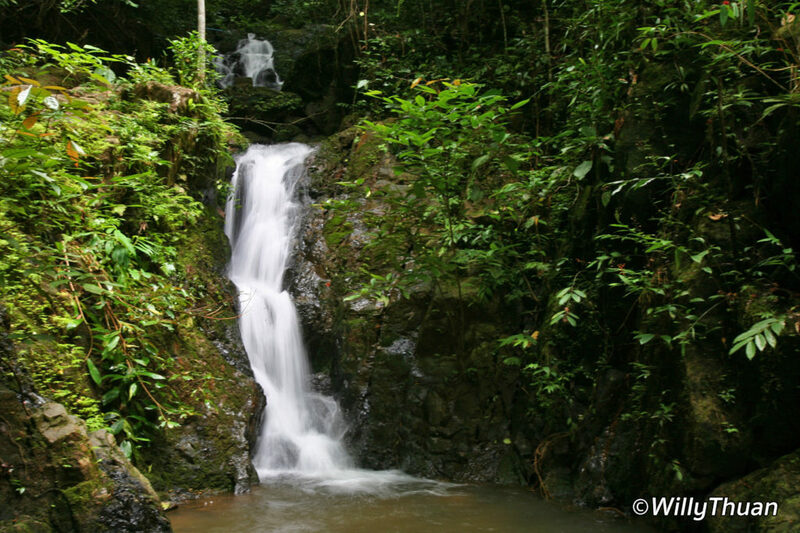 A short walk leads to the large pool and magnificent waterfalls. Having a bath here is a fun way to end the day with a beer or any cold drink you naturally brought with you just for the occasion.